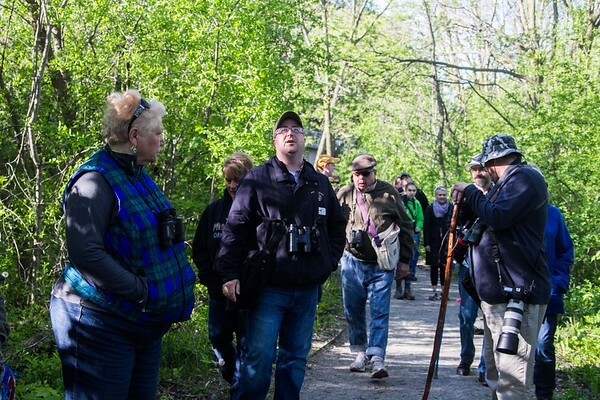 The Western New York Land Conservancy held a birdwatching hike in the Niagara Gorge Saturday morning. The hike, led by Tom Kerr (center) the Buffalo Audubon Society Naturalist, The hike familiarized those attending migrating birds. The Niagara River is a globally significant Important Bird Area, a designation shared with Yellowstone and the Everglades.